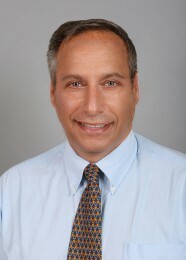 Mark Baranek was born in Toronto, Canada and attended the Associated Hebrew Day School of Toronto followed by the Community Hebrew Academy of Toronto. He completed his undergraduate work in International Relations at York University in Toronto. Later, he achieved his Master’s Degree in the Horenstein Program from Brandeis University in Waltham, Massachusetts. Mark has been active in the community for many years. He has been a member of the Coalition on Advancement of Jewish Education since 1988 and was on the national board for two years as the Southern Regional Representative. 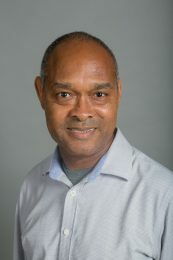 He is a member of the National Association of Temple Educators, Association for Supervision and Curriculum Development, Council of Education Directors and Hebrew Educators Alliance. Mark holds a permanent principal’s license from JESNA and a continuing Hebrew teacher’s license from the Miami Board of License. He continues to grow professionally by attending conferences both locally and nationally. Mark has visited Israel twenty-six times and has chaperoned numerous teen and adult groups. He lived in Israel in Jerusalem and on Kibbutz Tel-Yitzchak. Mark served seven times as a bus captain on the March of the Living, a two-week journey to Poland and Israel. 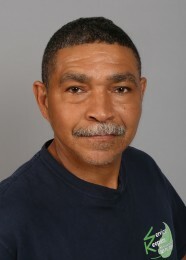 Mark has been a volunteer basketball coach at Miami Senior High School since 1988. His teams have won seven state championships during that time. Numerous players have gone on to play at the college level and even the NBA. Three of his players are active in the NFL. Mark loves his work and gets the most satisfaction from seeing the smiling, nurtured and positively impacted children of Temple Beth Sholom. 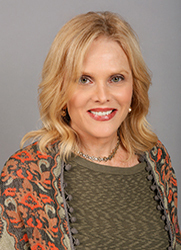 Margie Zeskind holds a Master of Science Degree in Pre-K/Primary Education. 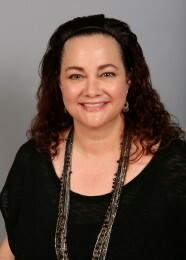 She started her tenure as the Director of Early Childhood Education at the Foundation School in July 2007. Prior to this position, Margie was the Director of the Helene and A.B. Wiener Early Childhood Department for the Center for the Advancement of Jewish Education in Miami, Florida. There she provided professional resources and consultation for staff development, mentoring and leadership development for early childhood education directors and educators for twenty-one Jewish early childhood programs. Prior to this position, for nine years, Margie was a Jewish Early Childhood Educator and a Religious School Educator at Temple Beth Am, a reform synagogue in Kendall. She authored two simultaneously awarded National Covenant Foundation Grants for the Jewish south Florida early childhood community. Additionally, she is co-author of I Went To My Cousin’s Crispening, and The S.A.G.A. Approach, which is a resource guide for Jewish early childhood educators working with issues surrounding religious diversity, funded by The Jim Joseph Foundation. She is one of the co-developers of the Kesher L’ Yisrael Initiative that was designed for early childhood educators to partner with children and families to build connections to Israel, the land, the people and the state. Barb Shimansky joined Temple Beth Sholom as the Director of the School for Living Judaism in June, 2017. 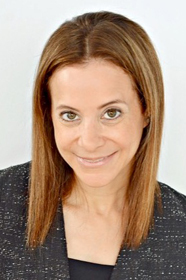 A native of suburban Detroit, she is a graduate of Michigan State University and earned a Master of Social Work from Wayne State University and a Master of Arts in Religious Education from Hebrew Union College – Jewish Institute of Religion. Barb has been granted the coveted title of Reform Jewish Educator (RJE). Formerly, Barb was a social worker with a focus on children in school, foster care, and juvenile justice settings. She also has extensive experience in Jewish youth education at both the elementary and secondary levels, previously teaching and directing youth programs at congregations in Michigan, Pennsylvania, and Illinois. Barb worked in the area of congregational support for the Union for Reform Judaism, and most recently served as the Director of Education at Congregation Sinai in Milwaukee. Raised in the Reform Movement, Barb is an alumna of NFTY and the URJ Kutz Camp and has served as a faculty member of the URJ Kutz Camp and Olin-Sang-Ruby Union Institute (OSRUI). She has facilitated workshops on topics such as informal education and junior youth programming at both regional and North American URJ gatherings. 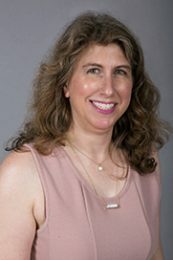 Barb has published several articles regarding the engagement of youth and families in Jewish learning experiences, and she serves on the leadership team of the Association for Reform Jewish Educators (ARJE). Barb and her husband, Jake, live in Bay Harbor Islands with their three sons, Ethan, Aidan, and Caleb. Born in England, Katy Boyask graduated from St. Mary’s University with a BA (Hons) in Drama and Theater Arts. In 2003, Katy started her nonprofit career in South Florida at Hillel of Broward and Palm Beach. 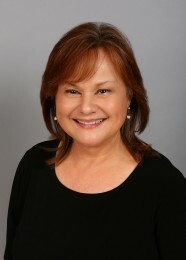 From 2005 to 2012, she worked for the Greater Miami Jewish Federation in a variety of campaign and management roles. In 2012, Katy managed a Mega Mission to Israel and was responsible for training a team of recruiters and solicitors, resulting in 700 participants, including 130 for a pre-mission to Poland. Moving to New York City in 2012, Katy worked for several nonprofits, including director of development at Park Avenue Synagogue, where she managed a $2.7 million annual appeal and a $65 million capital campaign. Before moving back to Miami, Katy returned to the Jewish Federation world and worked as a campaign director for UJA-Federation of New York. Greg is the first to hold the newly created position of membership director at Temple Beth Sholom. In this role he works in close concert with Director of Congregational Engagement Mark Baranek to welcome and work with prospective, new, and long-time members of Temple Beth Sholom. Additionally Greg will be working with Rabbi Pomerantz to launch and run Temple Beth Sholom’s new small groups initiative. Greg will continue his role as director of Shalom Baby, overseeing childbirth education and community building for expecting parents. Prior to this position, Greg had been the director of The Tribe, Temple Beth Sholom’s premiere leadership and community-building initiative for Miami-Dade’s Jewish young professionals. Greg came to Temple Beth Sholom with over 5 years' experience as a Jewish professional. In addition to being membership liaison at Congregation Sha’ar Zahav in San Francisco and site manager at Eden Village Camp in Putnam Valley, New York, Greg created a thriving Jewish community outside the walls of a synagogue as a lay leader in Wilderness Torah in the San Francisco Bay Area. He also has held many positions as a Hebrew school teacher and Jewish teen educator. Greg has bachelor’s degrees in both psychology and neuroscience and an elementary education certification from Brandeis University. He also holds a master’s degree in transpersonal counseling psychology from John F. Kennedy University in Pleasant Hill, California. Greg lives in Hollywood with his wife, Rachel Dawn, and their children, Hazel Glow and Ember Lev. Lorna has been leading the finance department since 2001, working closely with the budget and finance committee and professional staff on all budgetary and financial matters of the Temple. Prior to joining Temple Beth Sholom, she worked at Congregation Bet Breira for fifteen years with Executive Director Emerita, Alice Miller. She decided to make the commute from Kendall to Miami Beach to be part of the Temple Beth Sholom team. Lorna was born in Cuba, the daughter of an overseas engineer and educator, and lived in several countries before making Miami her final destination. She attended Southwest Senior High and later Florida International University where she majored in Business Administration. Lorna and her husband, Luis, have raised two amazing children, Melissa and Daniel, and are now the proud grandparents of Brianna. 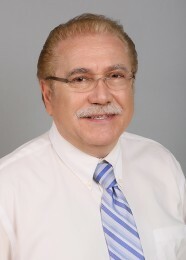 Michael Svayg is the Director of Facilities and Building Operations. He came to Temple Beth Sholom in 1997 from Cleveland, Ohio where he managed the Building Operations for Suburban Temple for over 17 years. Michael was born in Chernovits, Ukraine and came to the United States in 1980. He earned his B.S. Degree in Civil Engineering from Chernovits State University and a Master’s Degree from Kiev University in Plant Operations of Military and Civil Buildings and also holds an Equivalency Degree in Civil Engineering from Cleveland State University. While in Ukraine, Michael was a Head Manager of Plant Operations and an Assistant General Director of The Republic Gas Company. Michael is married to Michelle, and they have four children and five grandchildren. Lois Kotzen has been working at Temple Beth Sholom since 1990. She is a graduate of Miami Beach Senior High School, attended the University of Florida and George Washington University. She is also a graduate of the Florence Melton Adult Mini-School and had her adult bat mitzvah at Temple Beth Sholom. Lois’ children are Rabbi Andrew and Michal Koren, Stacy and Robert Budowsky and Dean and Dr. Rosa Kotzen. She also has six grandchildren: Max, Avishai, Shiri, Ethan, Mia and Rex. Scott Wenders is a graduate of Hialeah-Miami Lakes Senior High School and attended Miami Dade College where he graduated with a Bachelor of Arts and Science degree in Business Management and Supervision. He was previously the Tenant Support Services Assistant at the Hazel Cypen Tower assisted living facility at the main Miami Jewish Health Systems campus. Scott is the Assistant to Cantor Lisa Segal and Bnei Mitzvah Coordinator. When Scott is not at work he enjoys reading western novels by William W. Johnstone and The Wall Street Journal. Other interests include keeping up to date on the telecommunications, banking and retail industries. 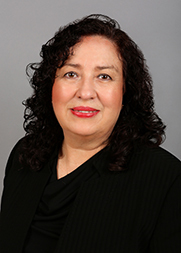 Noemi spent the last fifteen years working within various Jewish organizations and joined Temple Beth Sholom in May of 2015. She was born and raised in Chile and moved to Miami when she was twelve years old. Noemi attended ITT Tech where she graduated with a degree in Computer Science and is currently back at college pursuing an Ocean Engineering degree. She loves staying active and practices Brazilian jiu-jitsu. In her spare time she enjoys outdoor activities, especially surfing. Miriam started working at Temple Beth Sholom in April 2015. Born in Bolivia she made Miami her home in 1982. 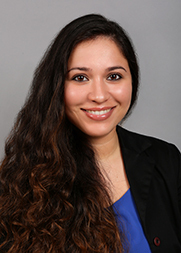 Miriam received her Bachelor of Arts in Accounting from FIU and a Master’s Degree in Accounting from Barry University. She has been in the accounting field for over 20 years. Her primary joy is being mother to her son, Christian. Ariane joined Temple Beth Sholom in May of 2002. She was born and raised in Miami Beach, where she graduated from The Hebrew Academy. After High School, she spent a year studying abroad in Israel, and then traveling throughout Europe. When she returned to the States, she continued her education at Florida International University and received a Bachelor of Arts from IFAC. She has one son, Marley, who has been an active member at Temple Beth Sholom for most of his life. She considers Beth Sholom her home away from home. Kayla joined the Temple Beth Sholom family in May 2017. Having grown up in Miami Beach, she attended school in Miami and then moved to New York for two years to work the “fashion retail life” in Manhattan. 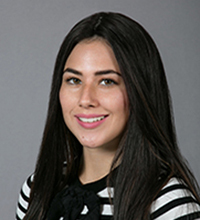 After returning to Miami Beach, Kayla had several positions that allowed her to develop extensive office skills, which have been a great asset to our temple. Moving over to our Innovative School is a perfect fit for her, since she also loves working with children—she has been a counselor at several day camps, has experience with children who have special needs, and has worked with the kids program at her temple for a few years. She is very happy to be part of such a welcoming and friendly team here at Temple Beth Sholom. Heriberto Cardona came to the U.S in 1997 from Colombia where he was working for a funeral home. He joined the Temple Beth Sholom maintenance department in 1998 as an outstanding floor supervisor. Heriberto is married and has two children and two grandchildren. 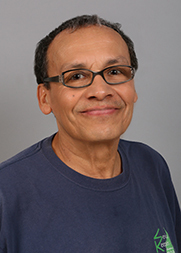 Jesus Parra came to the U.S. from Colombia where he was working as a clerk in a bank in Bogota. He joined the Temple Beth Sholom maintenance department in 2003. He has three grown children in Bogota. Antonio Rojas came to the U.S. in 1993 from Colombia, where he had been a professional boxer for many years. He started working for the Temple Beth Sholom maintenance department in 2006. He and his wife, Maria Claudia have three children. 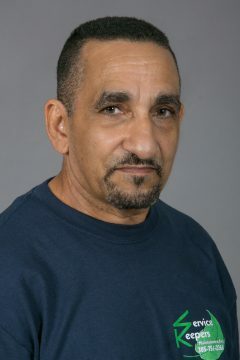 Luis Abreu was born in Havana, Cuba on December 1951, where he studied Electromechanical Engineering and worked at the Cuban Port. He moved to the United States on 1994 and started working independently at first. He became a handyman and worked at Brickell Bay Club Association. He has two children. Luis joined Temple Beth Sholom on March 2017. 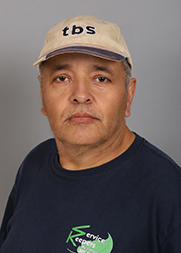 Alvaro Campos came to the U.S. from Colombia in 1998, where he had been working for a building maintenance company. He continued to pursue this field over the years, joining the maintenance department at Temple Beth Sholom in 2014. Jeannette Santamaria, joined our maintenance department in 2015. 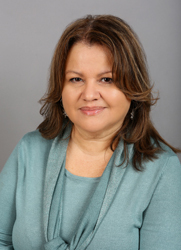 She came to the U.S. from Nicaragua having worked for the Miami Herald for fifteen years prior to joining the Temple staff. She is married and has two grown children. Alba Giraldo hails from Bogota, Columbia and joined our maintenance department in 2010, prior to working in the hospitality industry in Miami for over fourteen years. She is the proud mother of one son who lives in Columbia.